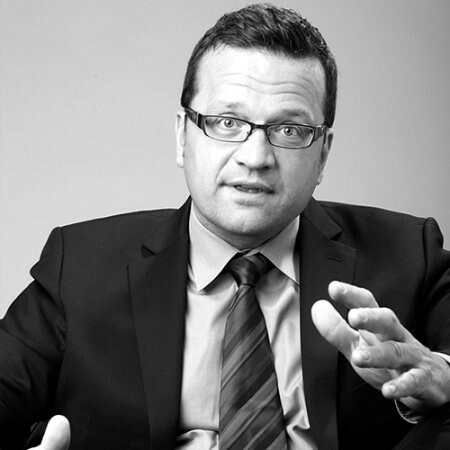 JMC Consulting – Jens Moeller Consulting Ltd.
Jens Moeller Consulting is a management consultancy with offices in London and Frankfurt, which specializes in increasing personal and organizational performance. On a personal level, we encourage creativity, finding ways to achieve goals, and managing critical challenges. We bring thoughts and ideas into a structure that can work successfully and achieve goals. At the organizational level, we help companies optimize their performance in terms of goals, metrics, and strategies. Germany, as the largest economy in the European Union, and one of the largest economies in the world plays such a large role, in particular through its large corporations. Large companies account for just under 45 per cent of all employees subject to social insurance contributions and generated 60 per cent of total sales in Germany each year, with the large states of Bavaria and Baden-Württemberg showing an above-average density of large corporations. But just the numbers and the current economic situation should not obscure what all entrepreneurs are aware of: “Globalization is also increasing, especially in economically strong times, global political uncertainties and a still tense state financing situation in southern European countries currently be with difficulty ignored. For large corporations now is the right time to set important course for the future. Frequently, these passages include words such as digitization or Industry 4.0. But the question of “whether” is obsolete, the question is how we shape it and how it benefits companies rather than being driven by development. Demographic change is also expected to provide answers, be it in the area of skills shortages and recruitment issues, retention of top-level personnel to the Group or the challenges of Generation Y. At the latest in the next downturn, companies facing the challenges of today will be better prepared, “says Jens Möller. On request, we will gladly send you our references and stand aside with our extensive portfolio of consulting services and the excellent coaching of JMC Jens Moeller Consulting. We look forward to your non-binding inquiry. Small and medium-sized enterprises (SMEs) are still the backbone of the German economy today. Every second euro is generated by them and about 60 percent of jobs subject to social security contributions are provided by SMEs. Despite these impressive figures, smaller companies in particular are more likely than average to seek external advice. The reasons for this are manifold, on the one hand most entrepreneurs shy away from the potentially unpredictable costs, on the other hand, there is still a lack of specific consulting services for SMEs today. JMC Jens Moeller Consulting stands for target group-specific consulting services and is also open to smaller and medium-sized companies. Trust comes from understanding and so we know the needs of SMEs first-hand. Please contact us, we look forward to your inquiry. Jens Möller’s broad industry experience with both large and mid-sized companies includes the TMT sector (telecommunications, media, technology), B2B services (e.g., facility management, temporary employment, security, call centers), financial services, real estate agents, food & beverage, and food services. Catering, Oil, Pharmaceuticals, Travel & Transport, FMCG (Fast Moving Consumer Goods) Mail order & E-Commerce, Energy, Logistics, Electronics, Automotive and Public Sector / Municipal Enterprises including Public Transport. If you’ve had experience as a management consultant or coaching company client, you might remember whole “troops” of junior consultants sitting in their offices, entering data into their laptops. Perhaps you yourself have experienced how difficult it is to reach the entire team of consultants through your contact person. But now for the good news: you can forget all that. At JMC, you work directly with the founder of the company, an experienced senior consultant and executive coach – whether in individual consulting or in a larger project with your colleagues or employees. For you, this means that you can always contact your advisor directly and easily. More than 16 years of experience with over 40 organizations in over 15 industries. Only senior consultant – guaranteed. The founder of the company is certified as a management consultant by the Institute of Consulting (GB) and the International Council of Management Consulting Institutes. On a global scale, JMC is assisted by our International Advisor Prem G. Abraham, a Silicon Valley-based merchant banker and business angel. JMC works exclusively with highly experienced senior consultants and other experts as part of a global network. Prem G. Abraham is Managing Director of Gladstone Abraham & Company, a private merchant bank that advises technology companies on strategic issues of top management and corporate finance. Gladstone Abraham & Company consists of executives and companies with significant experience in emerging technologies. Mr. Abraham has longstanding relationships with major financial institutions and the CEO of multinationals. He advised venture capitalists and leading investment banks on specific financial issues and technology areas. His areas of interest include biotechnology, medical technology, artificial intelligence, IT, energy and environmental protection. He has extensive experience in management buyouts and corporate restructuring. Mr. Abraham holds an MBA from Harvard and a Master of Materials Science from the University of California at Berkeley, where he began a Ph.D.
As Chairman of Fedship (an international alliance), he advised European investors and emerging market authorities, including India, Sri Lanka, and Singapore, on financing multinational projects and technology, trade and development policies. Before the founding of Gladstone Abraham & Company, Mr. Abraham was the executive director of the International Resource Exchange, which is engaged in technology transfer and developing trade with third world countries. He has spent five years in the nuclear power division of General Electric, two years as manager of a division of Raychem Corporation, Menlo Park, California and, after a merger, for a short time with Atlantic Richfield Corporation. Mr. Abraham chaired the Harvard Club for the San Francisco Bay Area Peninsula and sits on the board of several high-tech companies. He has worked in several nonprofit organizations around San Francisco and has long been supporting Rotary International and the San Francisco Symphony Orchestra. He was also on the board of the Harvard Club of San Francisco and the San Francisco International Program. In addition, he worked as a consultant to the Eisenhower Foundation in Philadelphia. More on request on request. JMC has offices in London and Frankfurt and supports its clients bilingually in German and English. Please contact us for more information.